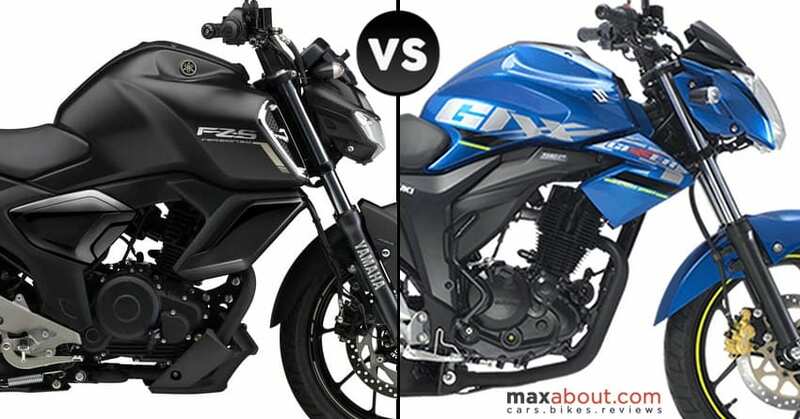 Yamaha FZS V3 vs Suzuki Gixxer (Quick Comparison): Yamaha FZS V3 is the most expensive motorcycle of its segment while Suzuki Gixxer 155 is the most value for money street fighter that one can buy in India. 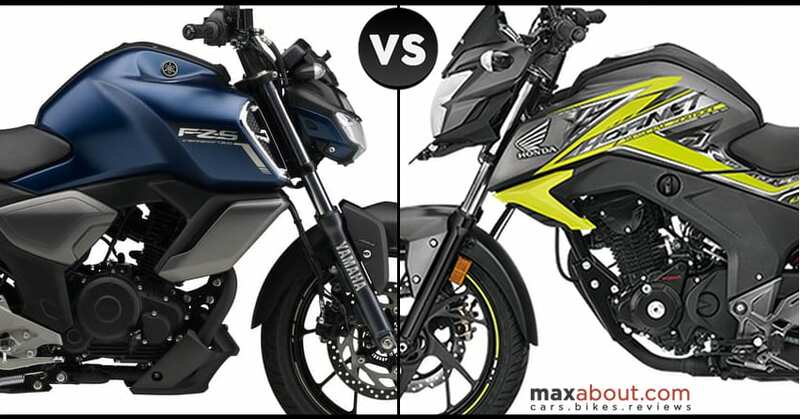 The difference in price for both the bikes roughly equates to INR 10,000 (on-road) and thus, buyers have more than one reason to reconsider their preferences after going through the comparison. The Gixxer is powered by a bigger engine, brings better top-end to the rider and even weighs 1 kg lighter than the third generation FZS. 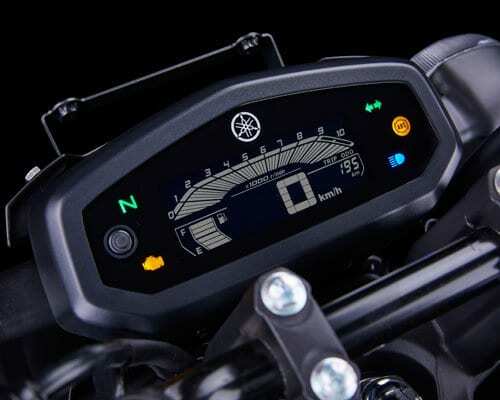 On the other hand, the FZS brings fuel injection and LED headlight to the package. 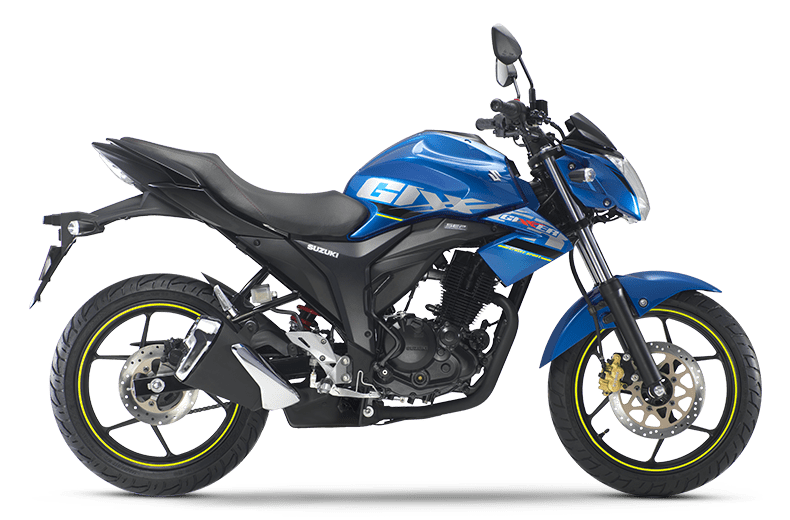 Suzuki Gixxer ABS is also the most affordable 150cc segment motorcycle with ABS in India as even commuter-spec Honda xBlade costs closer to the performance-friendly Gixxer. 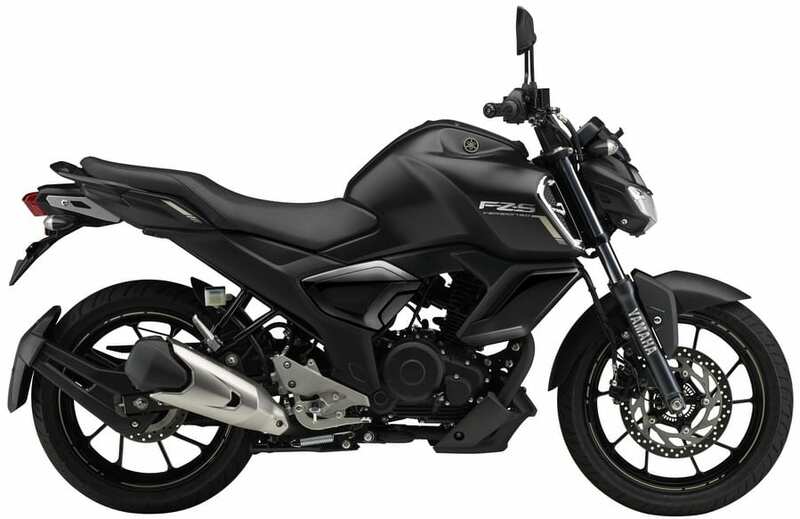 Yamaha FZS feels overpriced by almost INR 5,000 in front of all other rivals, except for the TVS Apache RTR 160 4V with INR 92,145 worth price tag. 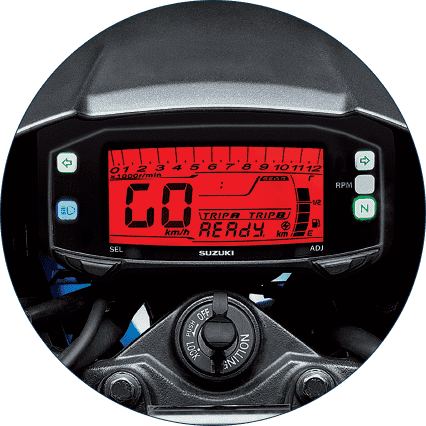 Yamaha FZS comes in three shades named Matt Black, Dark Matt Blue and Gray/Cyan Blue while Suzuki Gixxer can be had in Metallic Triton Blue, Glass Sparkle Black, and Red/Silver shades. Suzuki Gixxer is yet to receive a mid-life-cycle update for India. 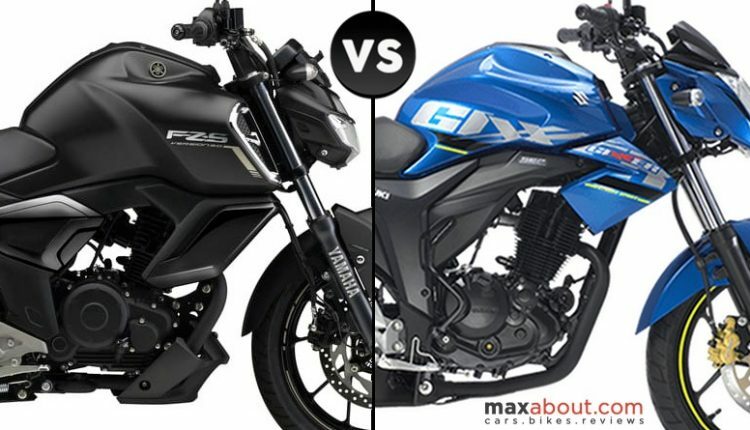 Here is a quick comparison between the 2019 FZS V3 ABS and the Gixxer 155 ABS.